Dr. Thomas A. Brettell joined Cedar Crest College in the fall of 2006, where he has been teaching forensic chemistry and analytical chemistry courses in the department of chemical and physical sciences. Dr. Thomas A. Brettell previously served as director of the New Jersey State Police Office of Forensic Sciences, where Dr. Thomas A. Brettell oversaw the operation of the State's regional forensic laboratory system. Dr. Thomas A. Brettell had been employed by the New Jersey State Police Forensic Science Bureau since 1976. In addition to Cedar Crest, he had previously taught forensic science in the criminology and justice departments at The College of New Jersey and Rider University. Dr. Thomas A. Brettell has served on the Governor's Advisory Council Against Sexual Violence and presently serves on the National Safety Council's Committee on Alcohol and Other Drugs. He has testified more than 80 times in municipal and superior courts in New Jersey and Pennsylvania including testimony for the New Jersey State Supreme Court." 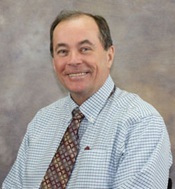 Dr. Thomas A. Brettell research interests include forensic chemistry and analytical chemistry.